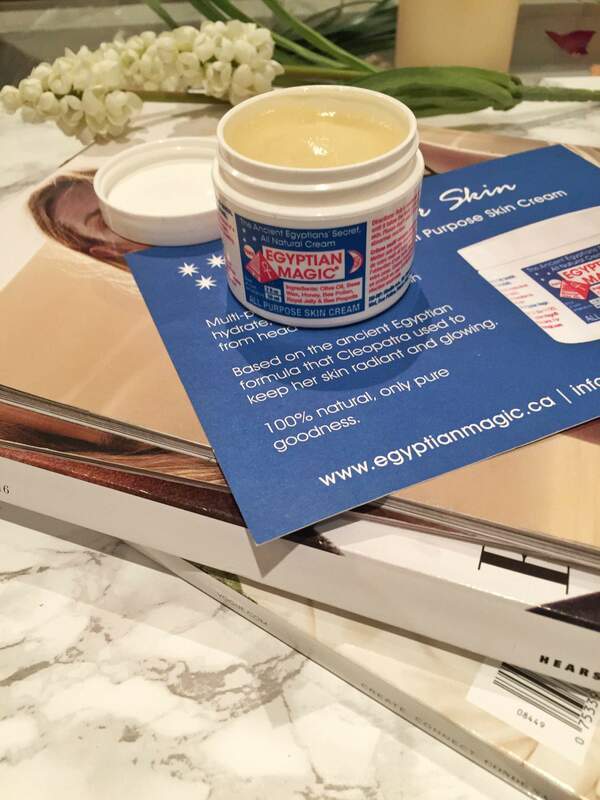 I was sent a jar of Egyptian Magic Cream to try out. I heard so many great things about this cream, even my daughters heard about it. (I’m always the last to know) I thought how could this cream be this good? Is this cream truly a magic cream? I looked over the ingredients and just loved that this cream only has six natural ingredients…..yup, that’s right, just six ingredients. Not just any ingredients, ingredients that are safe to eat (not that you would want to eat the cream). The skin is the largest organ of the body and it absorbs everything that you put on it. So you would think it would be important to be more diligent about what we put on our bodies. You can be assured that this cream is safe for your entire family. With six simple ingredients: Olive Oil, Bees Wax, Honey, Bee Pollen, Royal Jelly, Bee Propolis ….. and divine love. No additives, preservatives, fragrances, chemicals, no parabens and not tested on animals. There are so many uses for this cream. It is a great moisturizer, it helps heal burns, treats cuts and scrapes, helps fades scars, helps with eczema and psoriasis, lip balm, after shave….okay, I think you get the point. For more uses please visit their website. When I received the cream I had a very bad cold where my nose was so raw, chapped and had sores in it from blowing it every two seconds. I immediately used the cream on my nostrils. I actually put some in my nostrils as well. 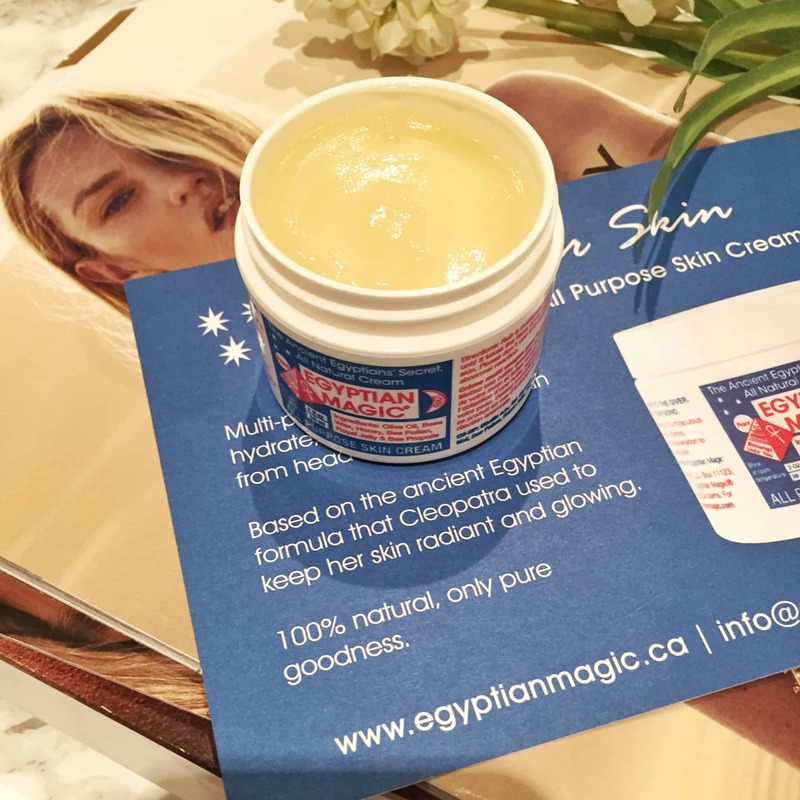 The Eyptian Magic cream helped heal my scabby, dry nose. After the first application, I immediately felt a difference in the texture and softness of my face. Seriously, try it out. You will immediately feel the difference. It’s not greasy and absorbs well into the skin. My husband has even been using it on his face after shaving. A little goes a long way. You use a small amount and rub it in between your fingers until it has an oil texture, then apply it where needed. My kids keep stealing the jar of cream…..it seems to disappear from my room and magically appear in my daughter’s room. I guess it’s time to get another jar. Sounds like an absolute miracle worker! I’m mind blown by the multiple ways you can use it….i feel like i need to carry this thing around everywhere!